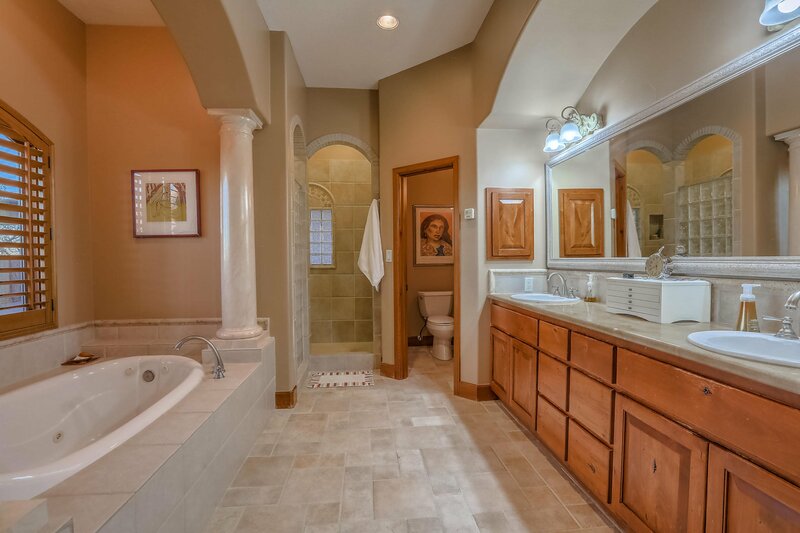 Custom, Parade of Homes Winner Joseph built single story home in desired Primrose Point with many outstanding features. 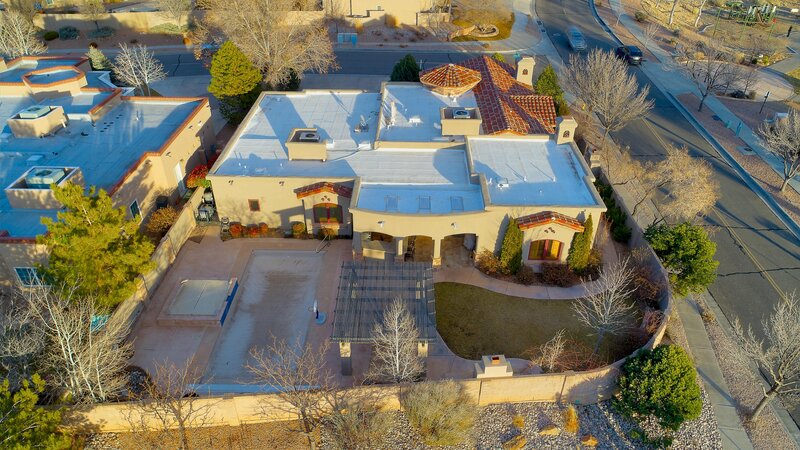 La Cueva high school district. 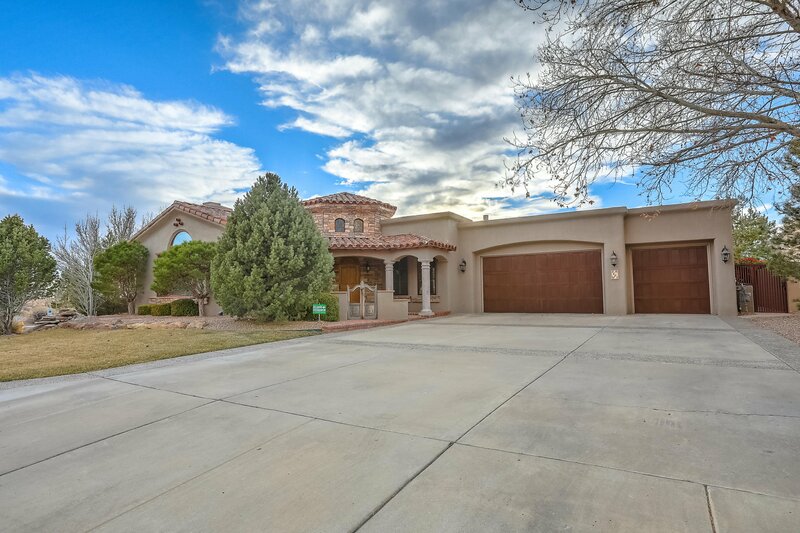 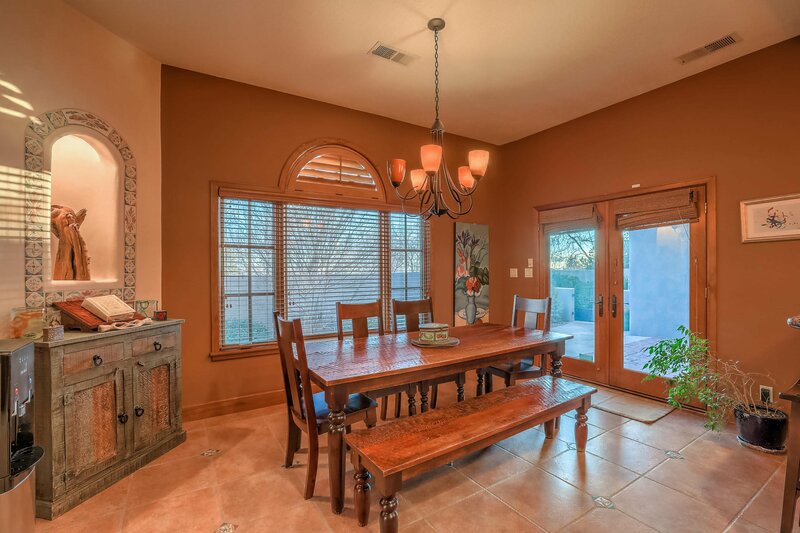 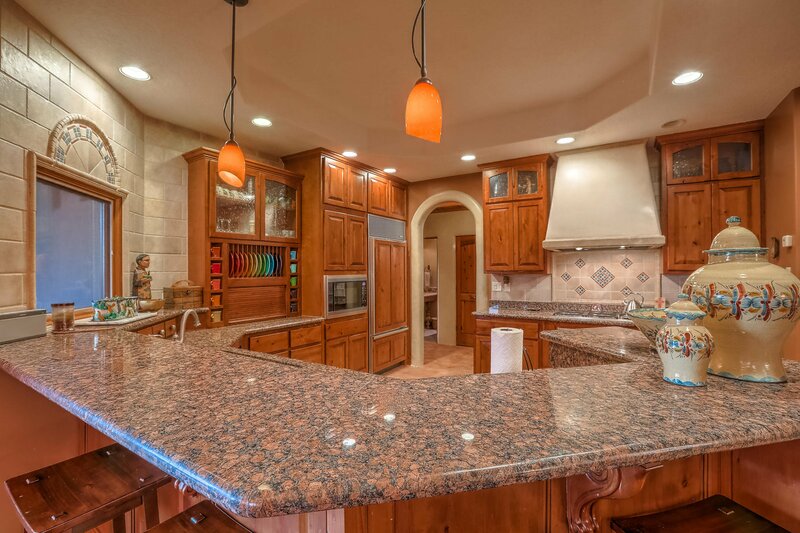 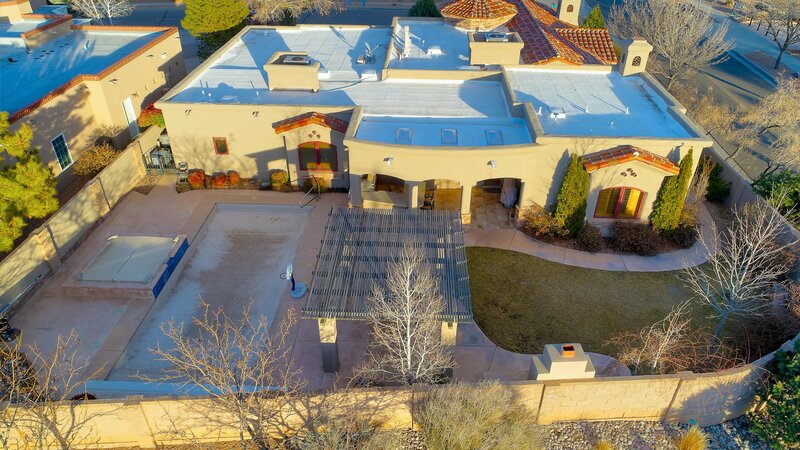 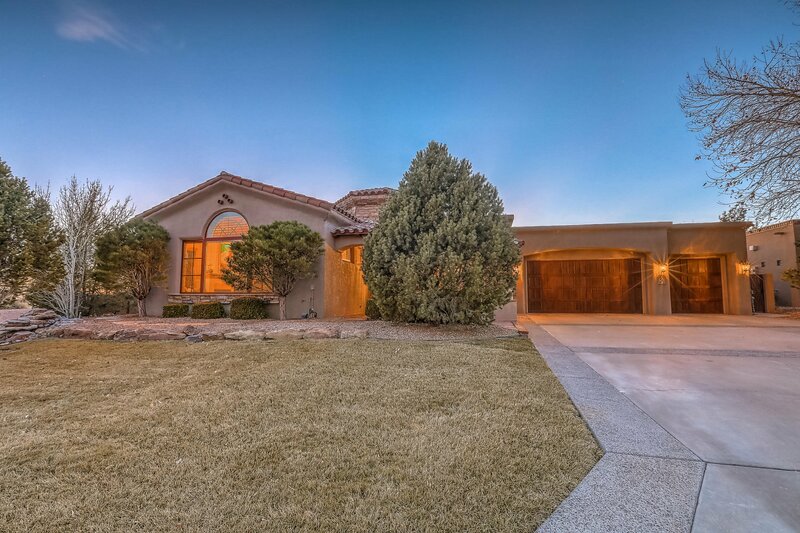 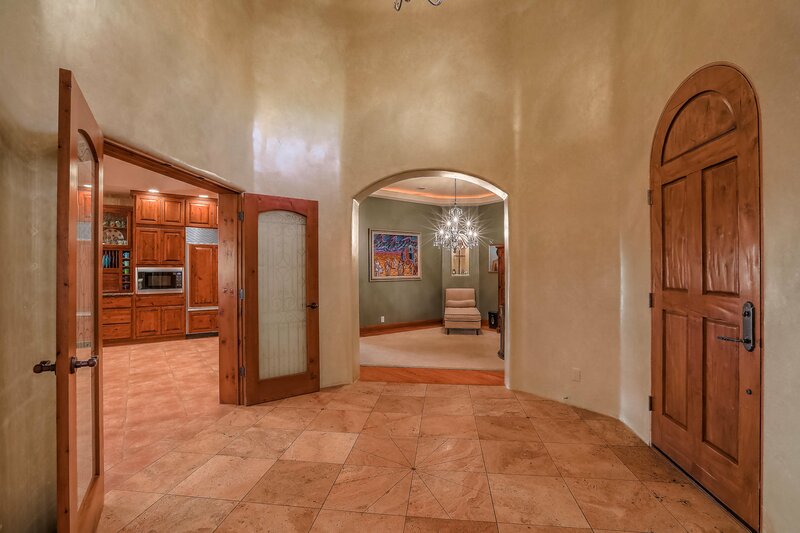 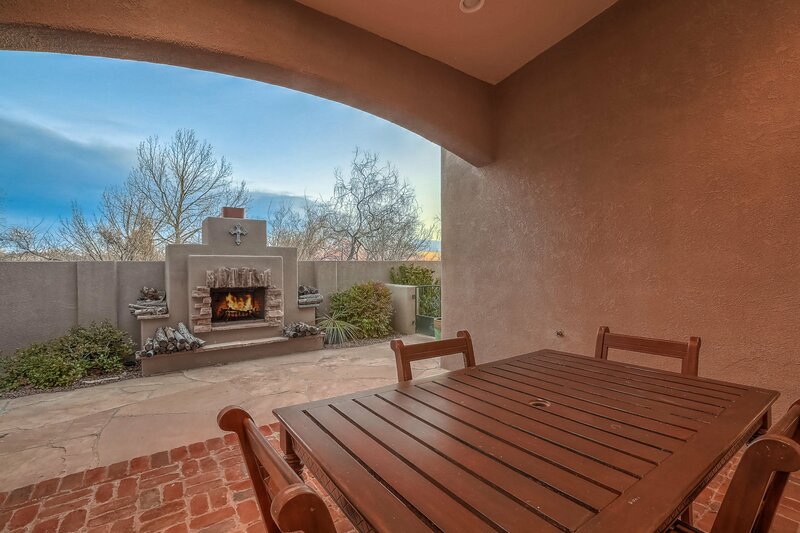 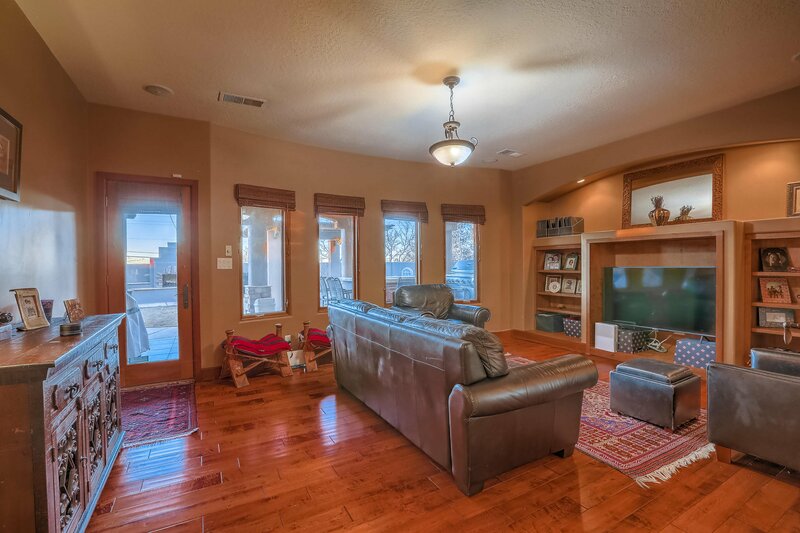 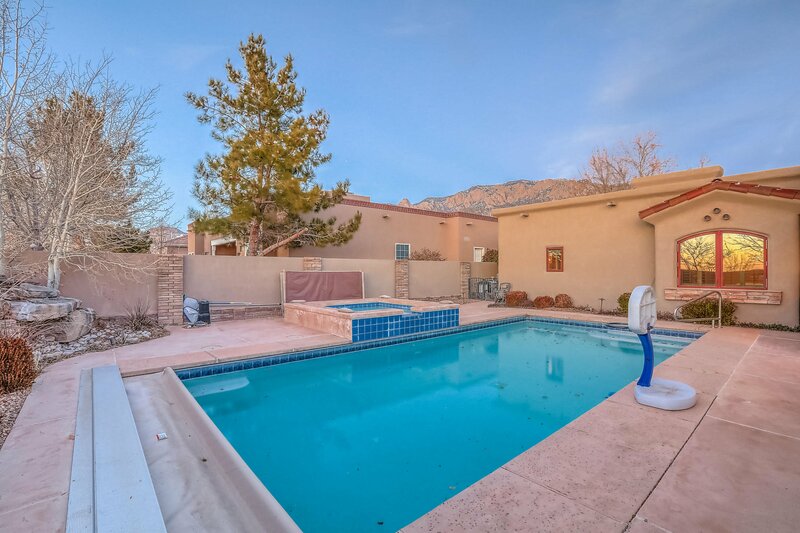 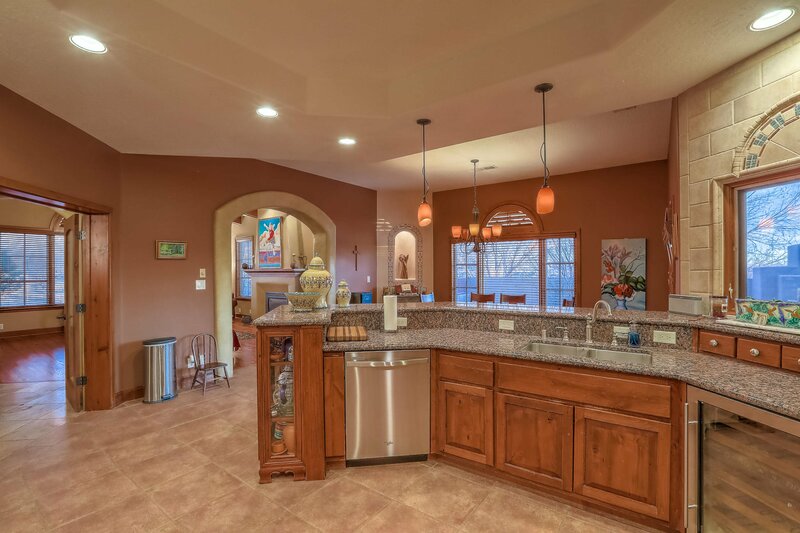 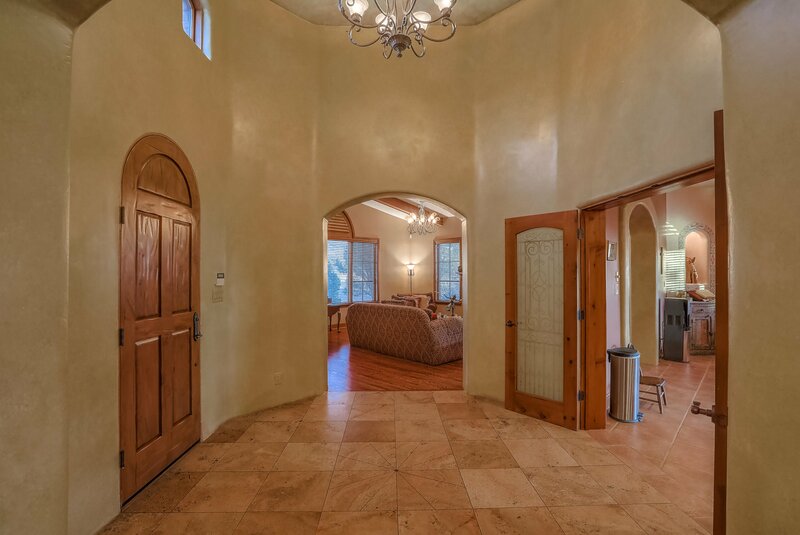 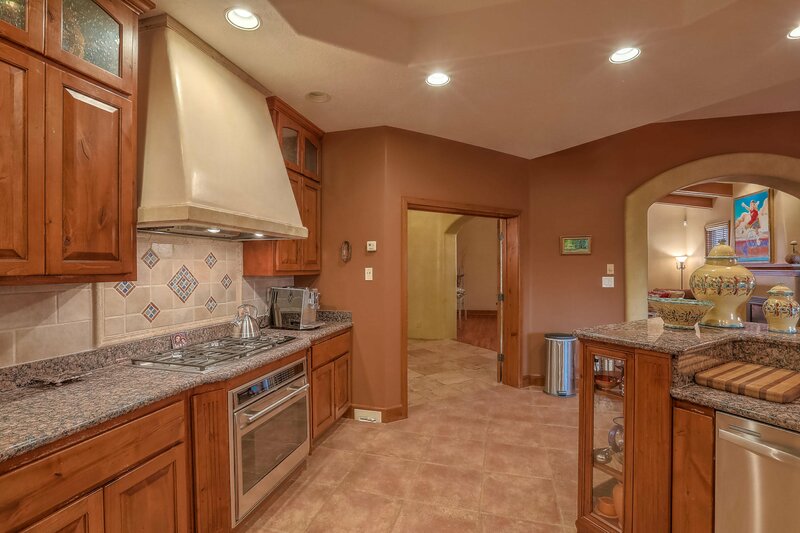 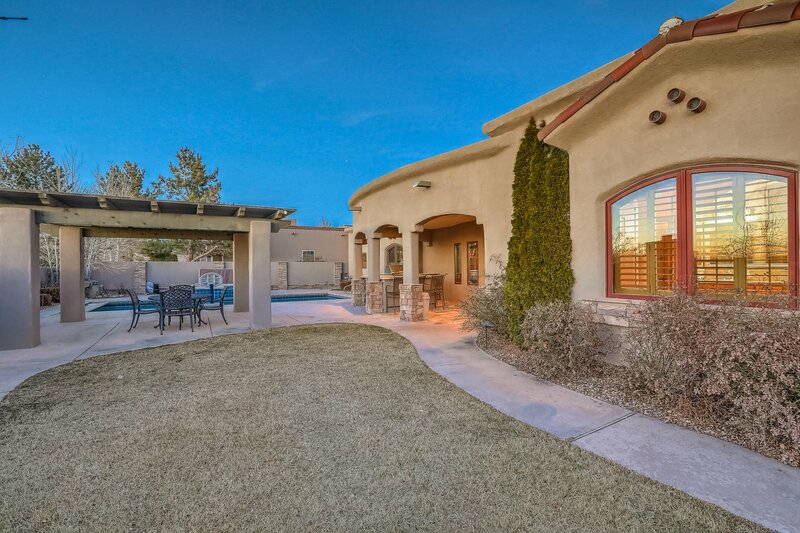 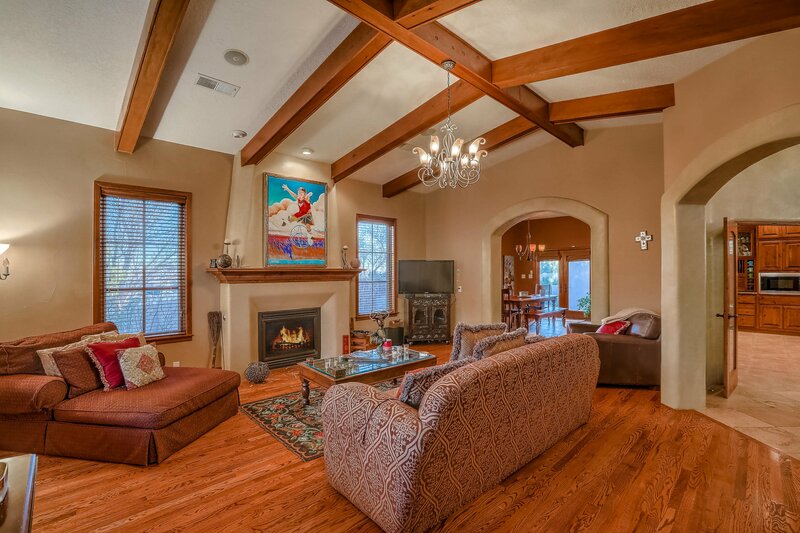 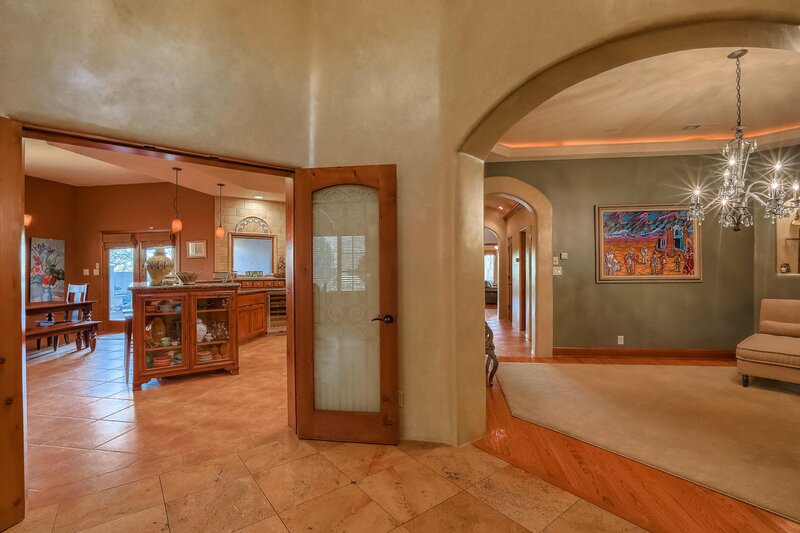 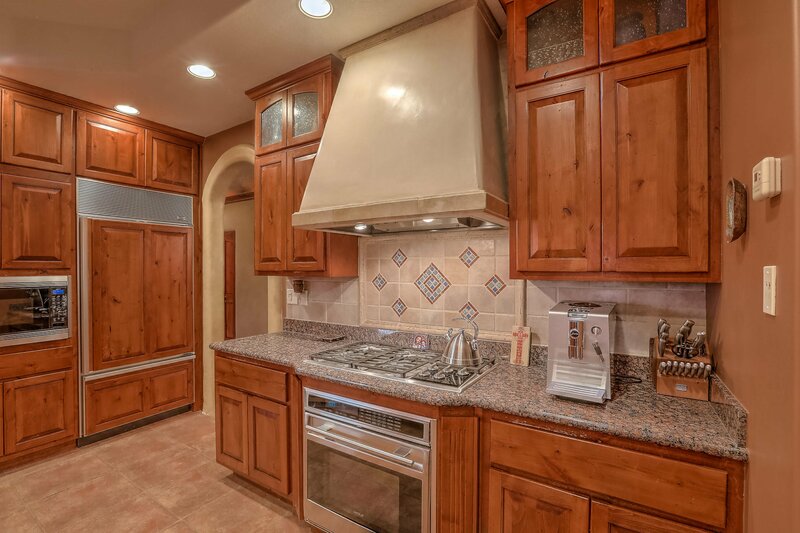 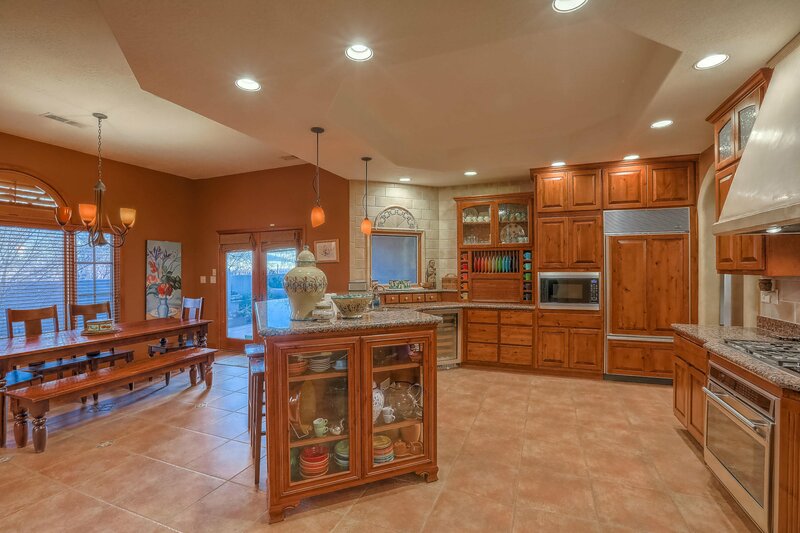 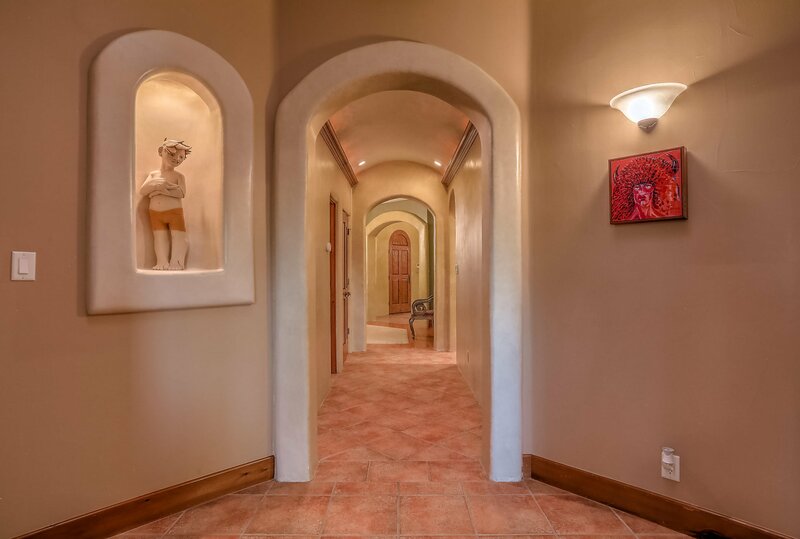 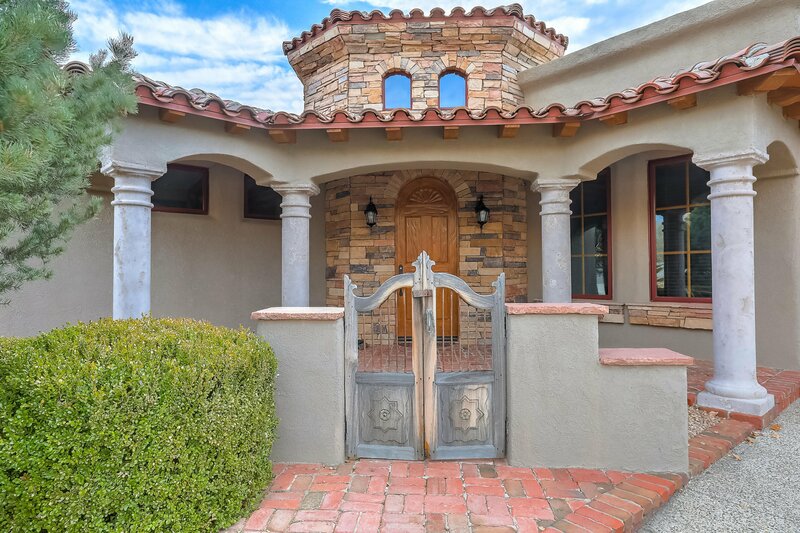 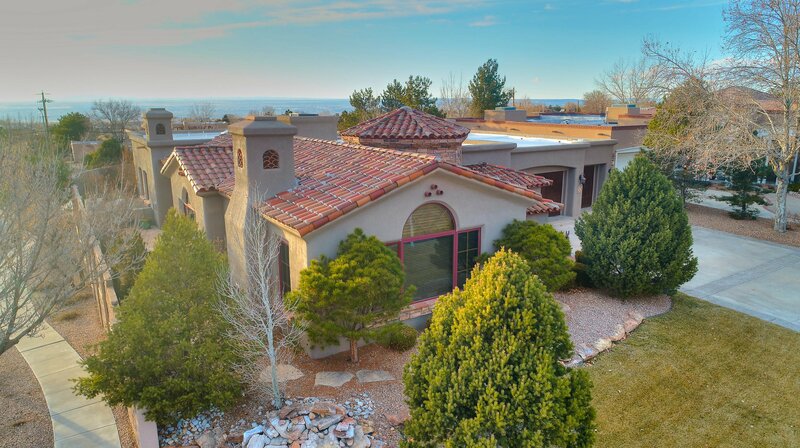 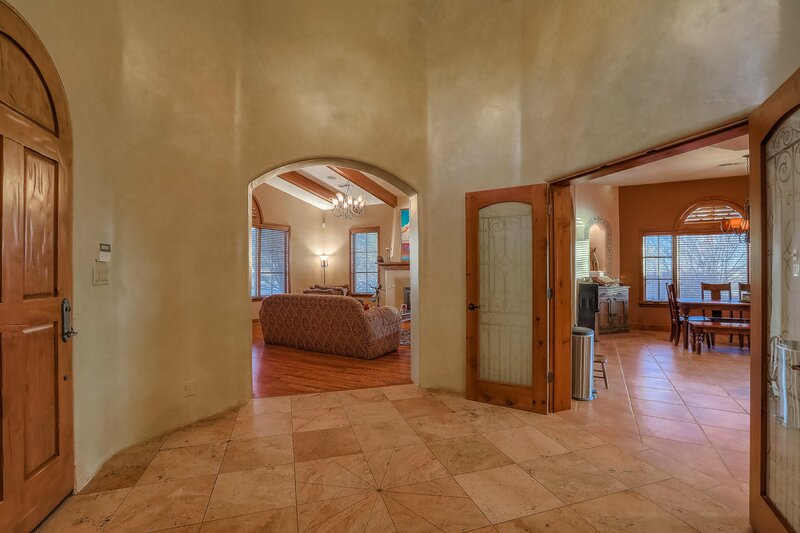 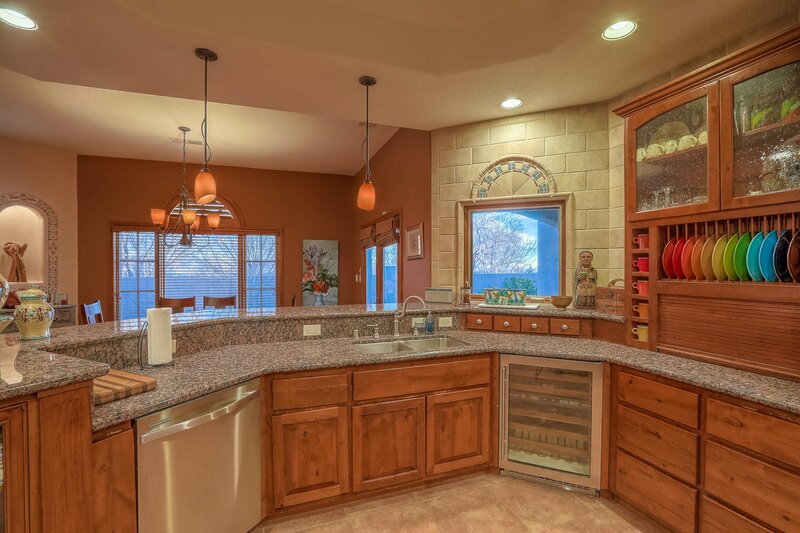 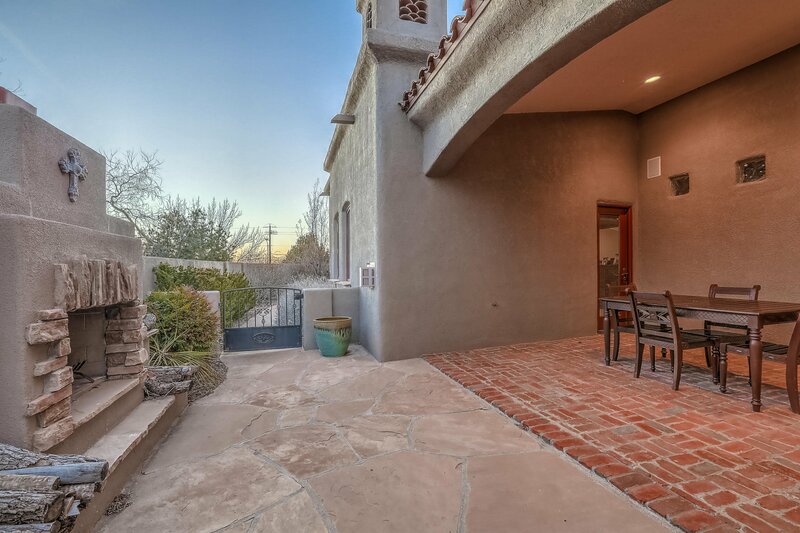 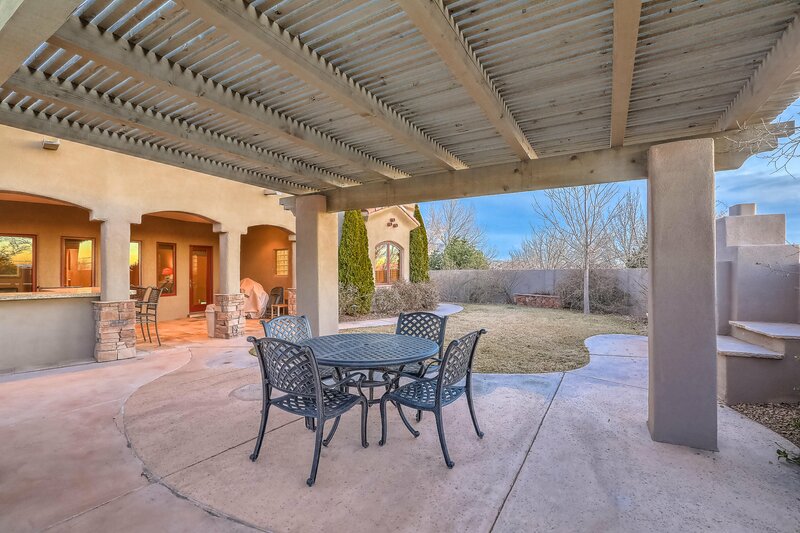 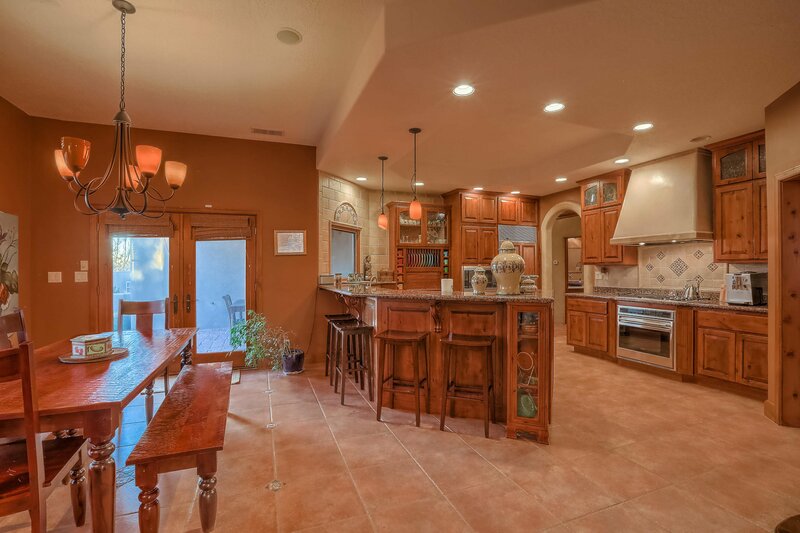 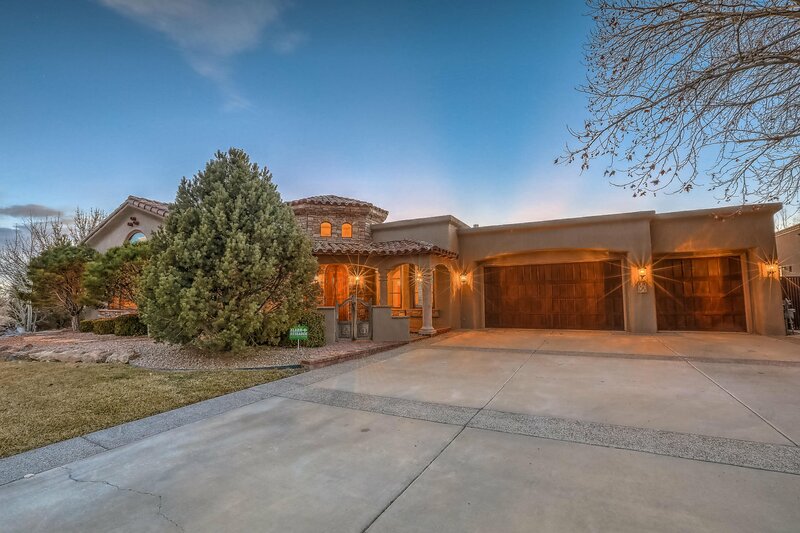 Gorgeous open kitchen with Breakfast area, formal living room with views of the Sandia Mountains and hardwood floors, formal dining room and family room with Built-ins. 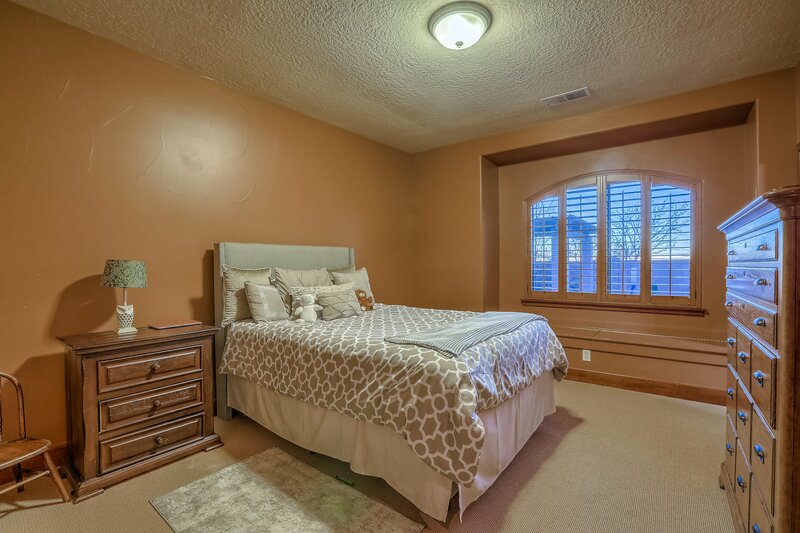 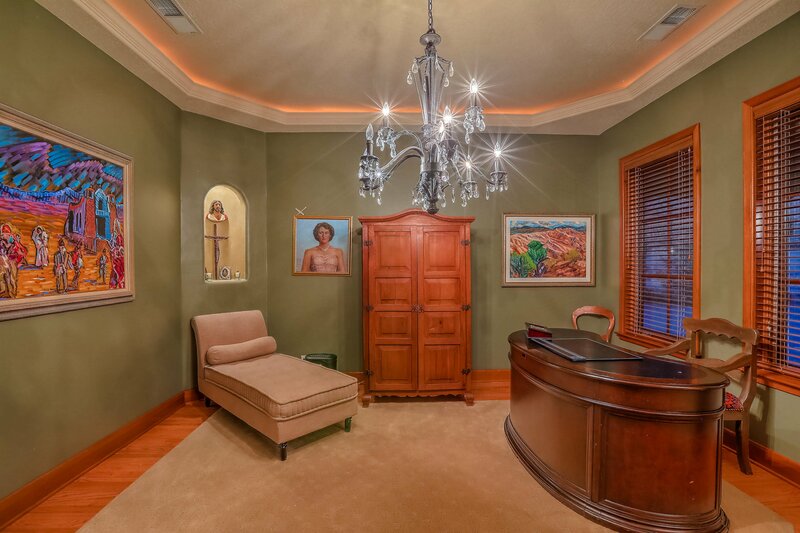 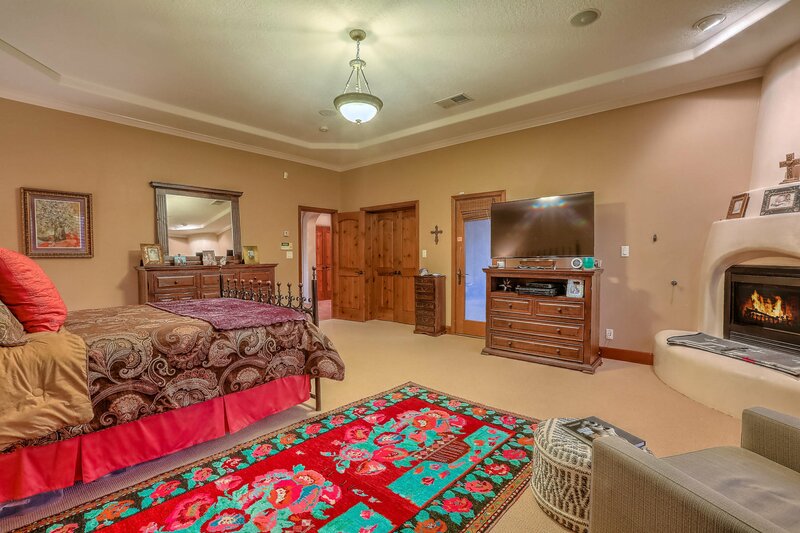 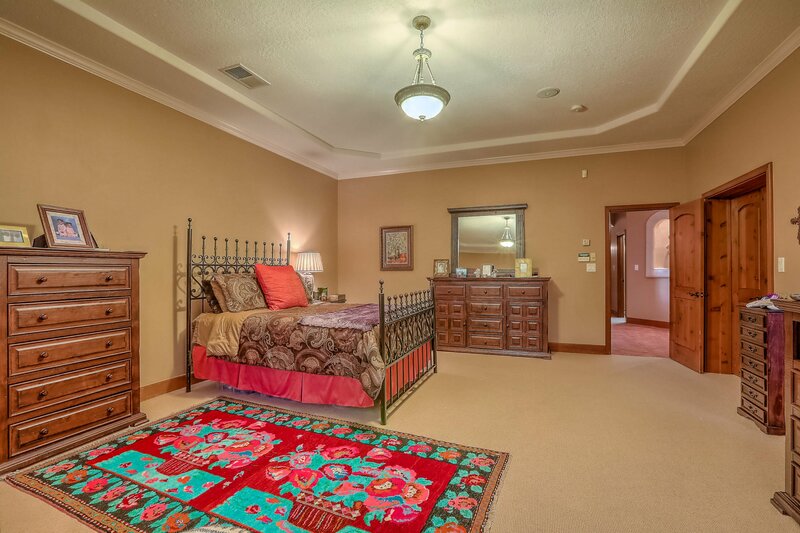 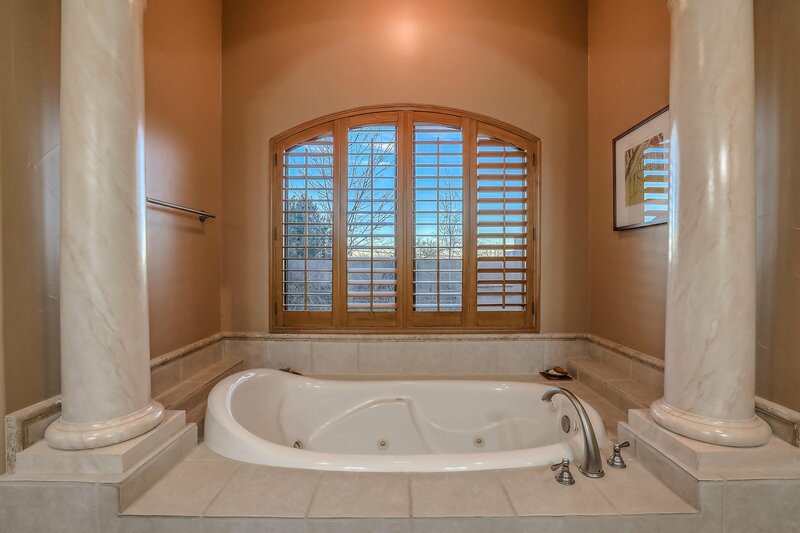 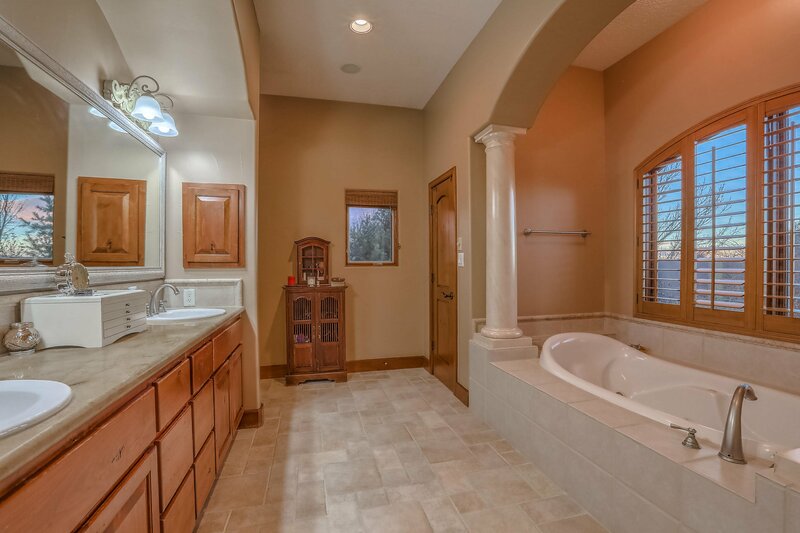 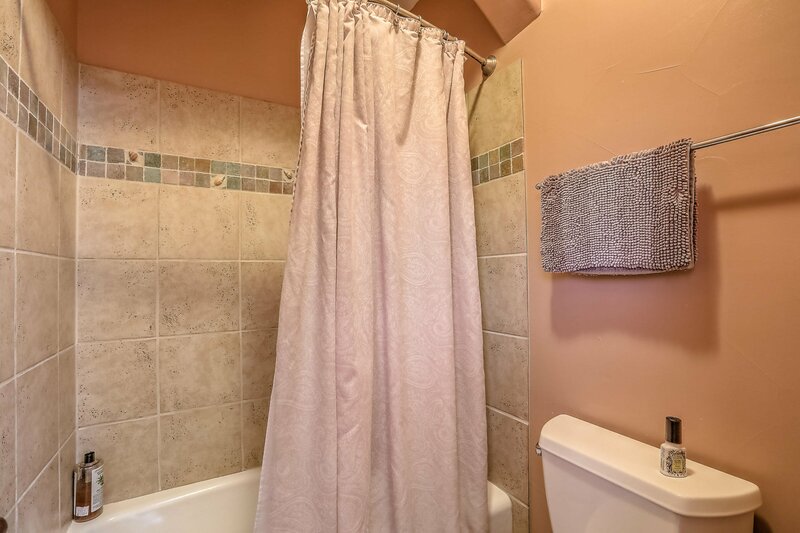 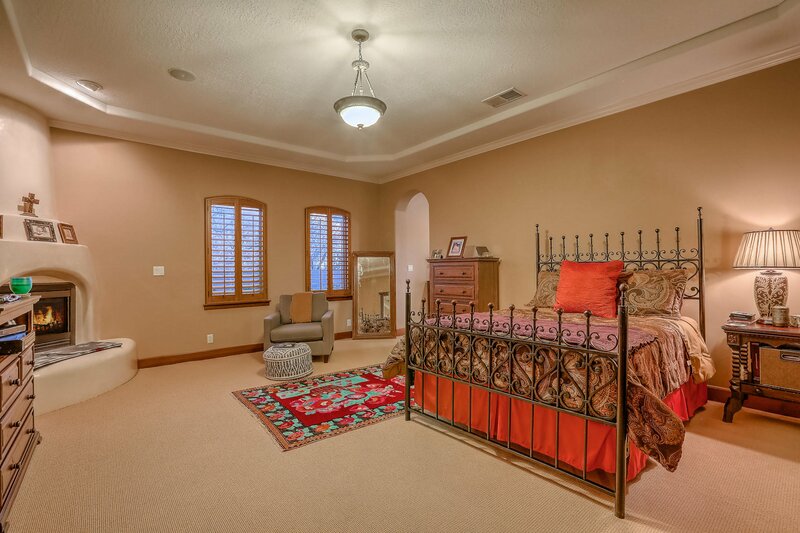 Large Master suite with large open bath area, garden tub and separate shower. 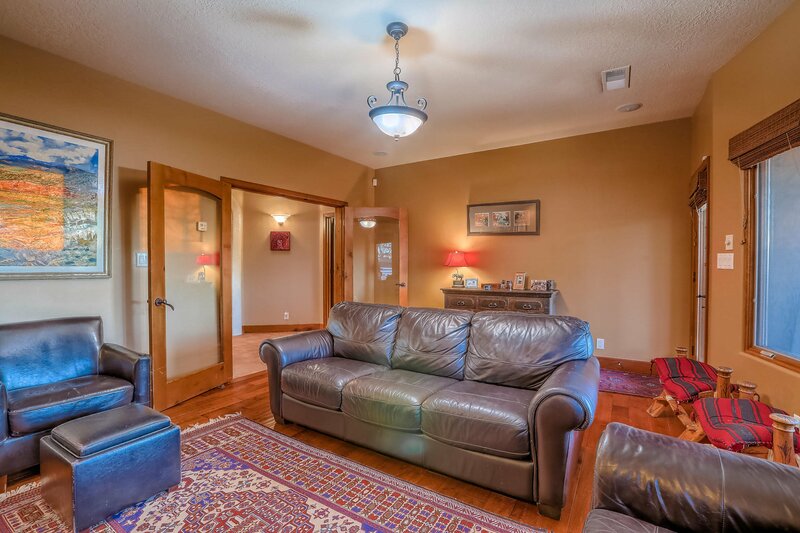 Wood blinds throughout, & heated garage, Covered patio with outdoor kitchen, gunite pool & hot tub and two outdoor fireplaces. 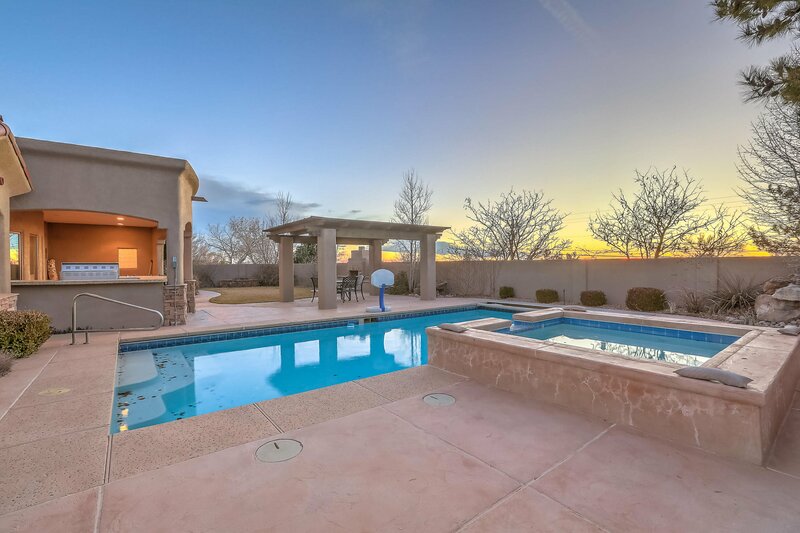 Incredible mountain and sunset Views. 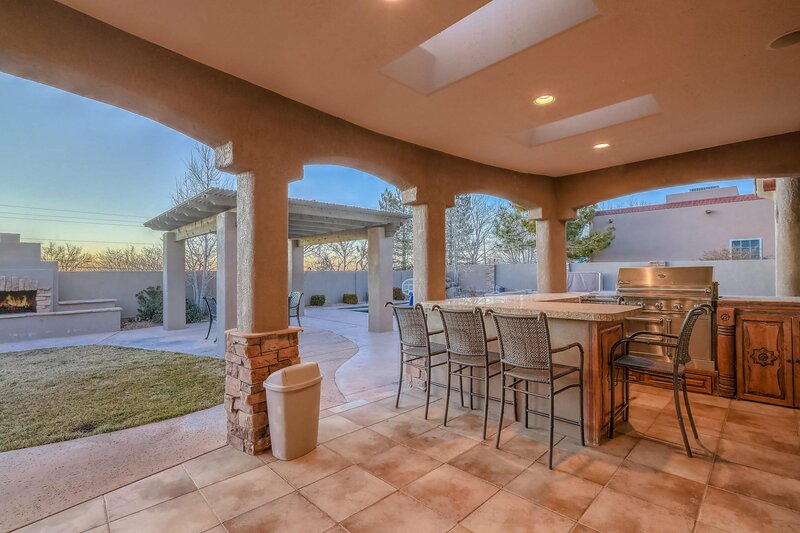 Perfect entertaining home and back yard. 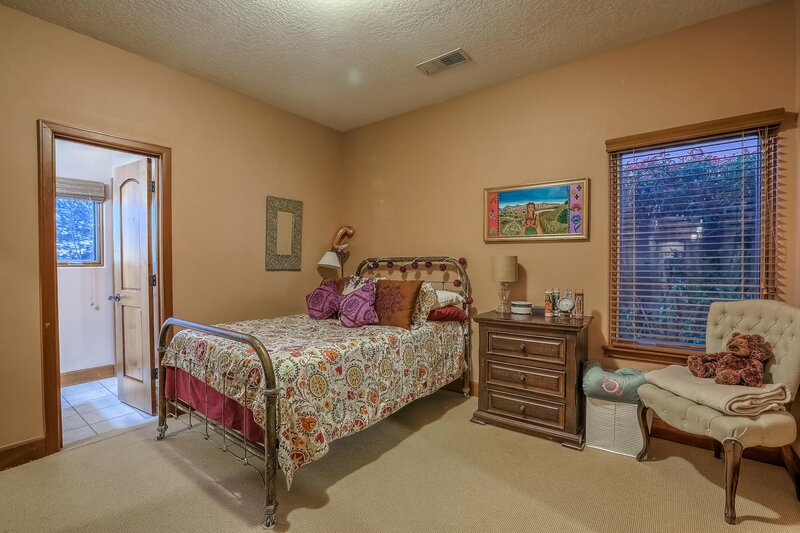 Close to a beautiful park. 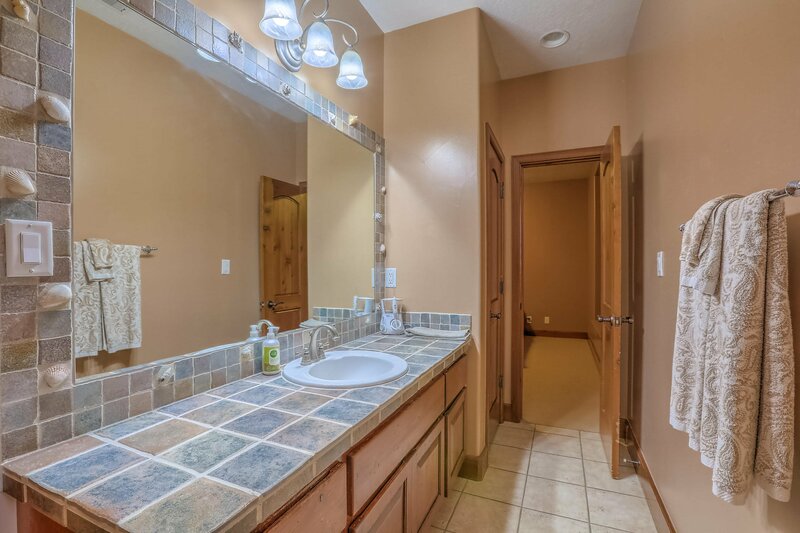 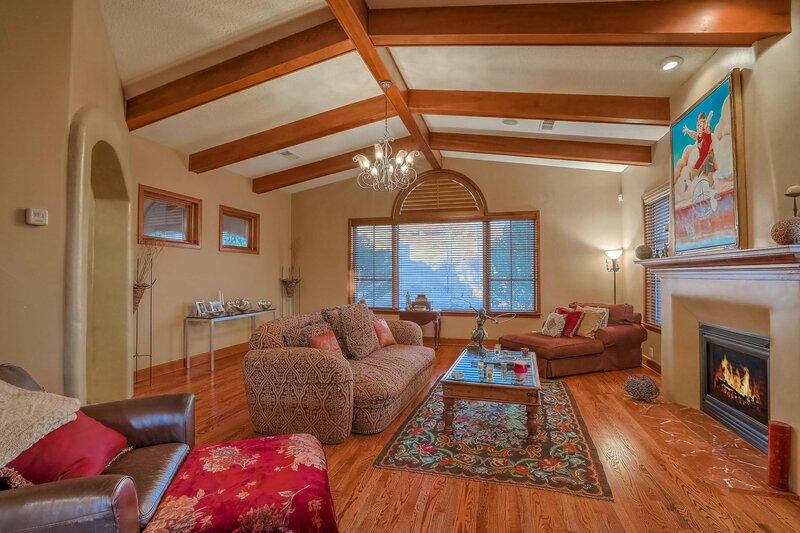 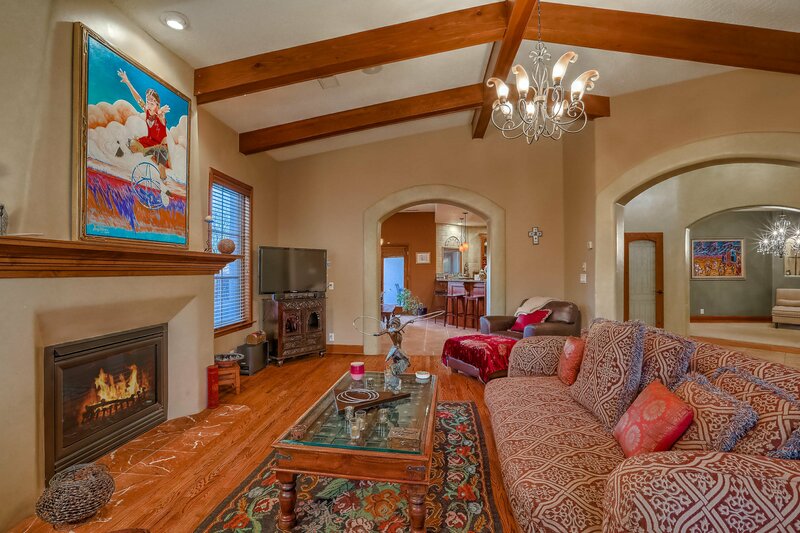 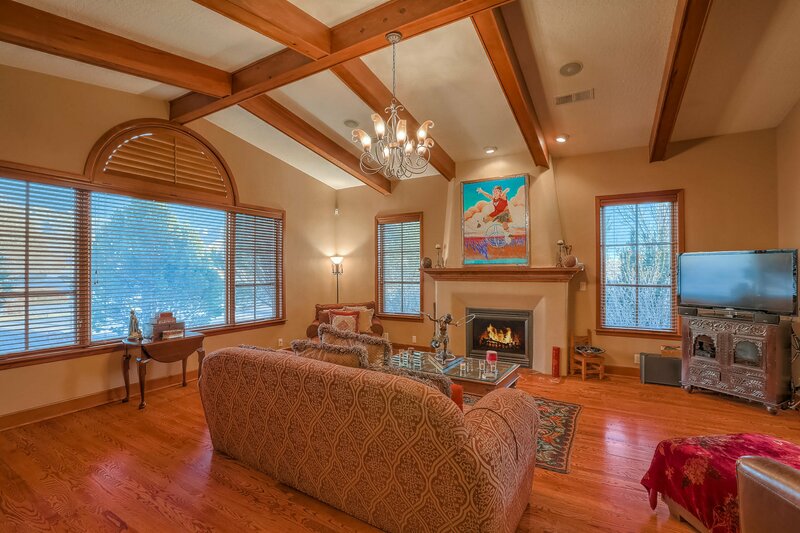 This home has been meticulously maintained. 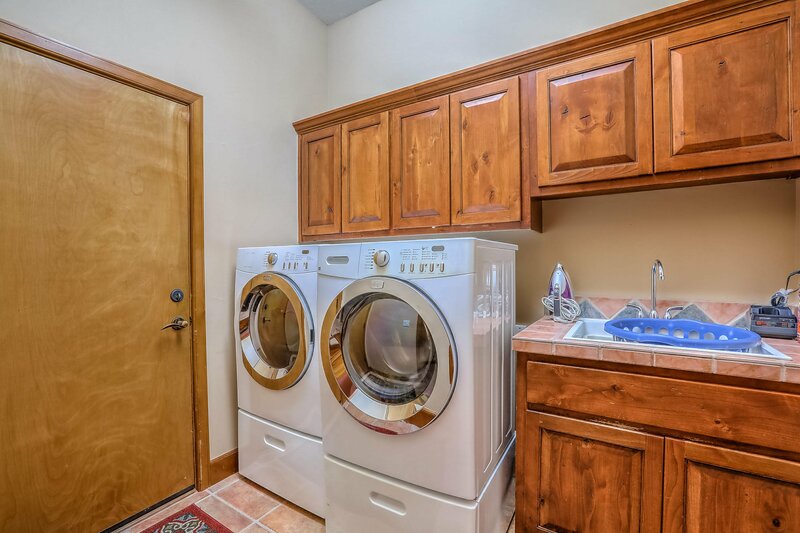 Pride of ownership shows!